West Virginia mountains and mountain ranges define the Mountain State. Photo courtesy Rick Burgess. Some say that if all the mountains in the Mountain State were flattened, West Virginia would be as large as Texas. Certainly most of the state is mountainous, with the exception of a few broad river valleys, such as that of Ohio River, the lower Kanawha River, and South Branch of the Potomac River. West Virginia lies entirely within the Appalachian Mountains. 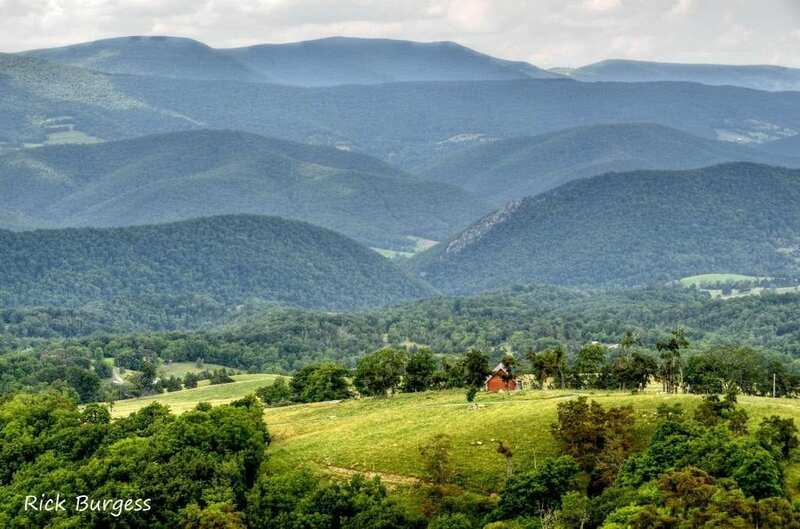 Though many of its lesser mountains might be termed “hills,” more mountain land exists per square mile in West Virginia than in any other U.S. state. Four provinces of the Appalachian Mountain system are included within West Virginia — the Blue Ridge, the Allegheny Plateau, the Allegheny Mountains, the Cumberland Mountains, and the Ridge-and-Valley Appalachians.